The second generation car is slightly larger than the first, a result of the introduction of the family-friendly Qashqai model. Family buyers love nothing better than a good SUV, and the first generation Nissan X-Trail fitted the bill perfectly thanks to its distinctive styling, practical cabin space and car-like handling. But then the Qashqai arrived and stole its thunder leaving the second generation X-Trail with no choice but to target a different set of potential owners; the result a move up in both size and market. Ever since it has become a little more of a niche product, but still undoubtedly one of the firm’s successes. The second generation car is slightly larger than the first, a result of the introduction of the family-friendly Qashqai model, but that means this five-door SUV (the only body style available) is more practical than ever. Thankfully there’s more choice when it comes to trim levels, the X-Trail available in XE, SE and LE specifications. Even the XE models come with a decent level of standard equipment, including six airbags, air conditioning and alloy wheels. Stretch to the SE and you’ll add cruise control to the list while the top spec LE comes with satnav, leather seats and Xenon headlamps. And while there was less choice when it came to engines - the 2.0-litre diesel the only option here in Ireland - you could choose between six-speed automatic or manual gearboxes. The latter suits the slightly utilitarian style of the car better and is a more common choice on the used market. Those looking to save some money on fuel might want to seek out a front-wheel drive model, the 75kg weight saving making it slightly more efficient at the pumps. It’s worth noting that the automatic transmission was only available with the top-spec LE trim, and in manual form the LE used a more powerful 173hp tune on the 2.0-litre unit. If you’re not likely to take to the rough stuff then it’s probably a good idea to look out for a front-wheel drive model - in 99 per cent of situations it’s just as capable and practical as the 4x4 version with the benefit of being slightly cheaper to run. Because of this you’ll have to choose between the XE and SE cars, and the mid-range SE is definitely the one to have, as it represents little extra outlay on the used market but plenty of extra kit. If you can, try and find a post-2010 model as this was the year the Nissan received a facelift. The X-Trail may have been rather forced into its current market sector, but that doesn’t mean it feels out of place. Sure a Honda CR-V is a little more refined and a Hyundai Santa Fe even larger, but the Nissan has a refreshing sense of honesty about it. 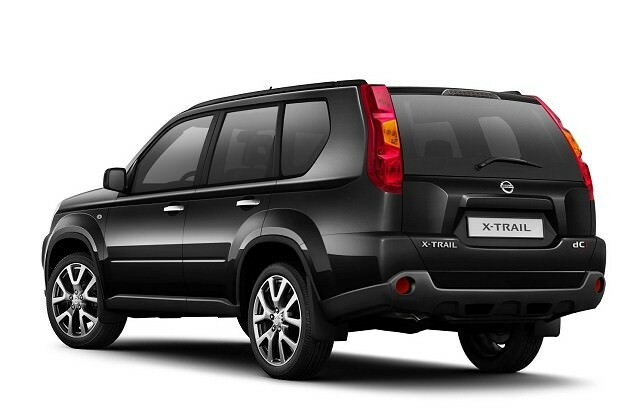 Large, practical, good to drive and well-equipped the X-Trail manages to be workhorse and family wagon all in one.